Crowd funding has become one of the most effective, and user friendly, ways to raise funds. 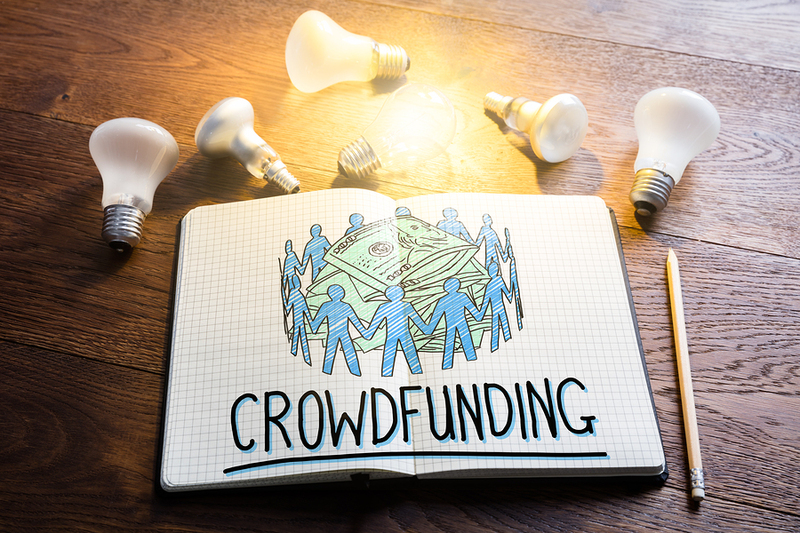 Whether you’re an artist trying to get your work produced, an inventor with a great idea, or simply trying to help a friend in need, crowd funding can be a powerful tool. 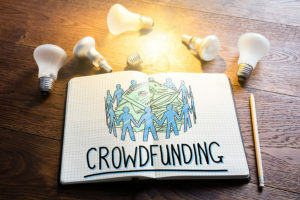 Sites like Kickstarter, GoFundMe, and Indiegogo have given users a simple way to spread their message and request contributions. But, the concept has caught on like wildfire and there’s plenty of steep competition trying to get that $$$. Here are five tips to make your crowd funding video stand out in the crowd. One of the biggest changes in marketing in the last year has been a shift to focusing on humans, not businesses or customers. It’s called B2H – Business to Human. This approach recognizes that no matter who you are selling to, there is a human receiving your message. Humans want authentic connections. They want to know the story behind their products and services, and they want to be moved by it. It’s a personal approach that allows us to relate to each other in an increasingly automated world. Story telling is a great way to start that relationship. Explain why you decided to do whatever it is you need the funds for and keep it personal. Share your passion. Get to the Point, Quickly. Our attention spans aren’t what they used to be. You have about ten seconds to make your pitch before you lose viewers. At 30 seconds you lose 30%, at one minute you lose 60%. * We’re not saying you should only make a ten second video. But, you only have ten seconds to get the attention of the people you’re trying to reach. Tell them why your campaign is unique and why they want to be involved. What value can they get from investing in you? If your message resounds with them, they’ll stay engaged for the rest of your story. Spell Out Your Message, Literally. While video content is being generated and shared at an insane rate, viewers are watching the majority of videos without sound, at least initially. This is a quick way for viewers to screen videos before deciding if they’re interested. So, whatever you’re saying in the video, caption it. You don’t need a company or even a product to have a brand. You are your brand. Are you a funny, light-hearted person? Then don’t try to be serious and stodgy in your video. Think about what you value about yourself, what inspires you, and then apply those ideologies to your crowd funding video. This ties into the story telling we mentioned earlier. You are marketing your concept to humans, and they want to know there is a human behind the marketing. Put yourself in every aspect of it, focusing on your values. Your genuine approach will inspire viewers who are like-minded. It will help you find your best investors. You don’t need to be a video production genius to make a successful crowd funding video, but a little attention to detail can go a long way. Smart editing is key to keeping your message succinct and easily understood. Make sure your video is well lit. And add background music that fits your message. Simple touches like these can make your video far more engaging. Tunefruit has the royalty free stock music you need to make your crowdfunding video a success. We offer a curated selection of quality tracks that are super easy to search. We’ve sampled a few tracks below that give an uplifting, donate now vibe. Check out our full library to find the music that fits your project. This entry was posted in Tunefruit On the Vine and tagged crowd funding video, crowdfunding video, go fund me, gofundme video, good royalty free music, indiegogo video, kickstarter video, rf music, royalty free background music, royalty free music, royalty free music download, royalty free songs, song licensing, youtube royalty free music by Starfruit Tunefruit. Bookmark the permalink.